כִּי תִבְנֶה בַּיִת חָדָשׁ וְעָשִׂיתָ מַעֲקֶה לְגַגֶּךָ וְלֹא תָשִׂים דָּמִים בְּבֵיתֶךָ כִּי יִפֹּל הַנֹּפֵל מִמֶּנּוּ.
" 'ועשית מעקה לגגך' - מצות עשה. 'לא תשים דמים בביתך' - מצות לא תעשה". 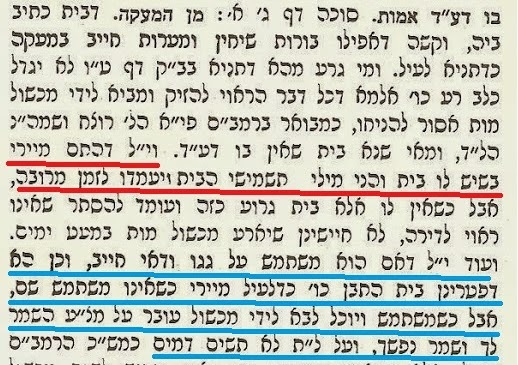 The fact that these mitzvot share a pasuk seems to indicate a connection and the language of the Sifrei also seems to imply that these mitzvot apply together. Also, when reading many of the sources in chazal, it is not entirely clear if a source is talking about one, the other, or both mitzvot. 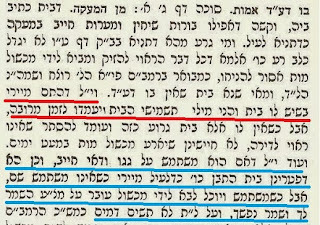 So a key question for understanding this sugia is: What is the connection between these two mizvot, and when one applies, does the other automatically apply. 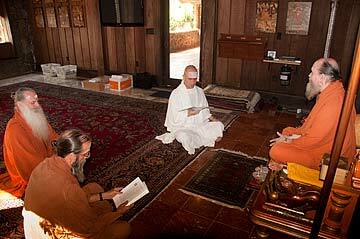 In fact, when looking at the Rishonim and Achronim, we can find both a variety of approaches. Two extremes among them are the Ramban, who implies that the two are always applied together, and the Netziv who distinguishes sharply between them. The Ramban(קידושין לד.) believes that Maakeh is the dominant one of the two mitzvot. Lo Tasim Damim is only there to strengthen the severity of Maakeh. As such, Lo Tasim Damim only applies where Maakeh also applies. The Netziv(סיפרי עמק הנציב על הפסוק) draws a clear distinction between the two mizvot. 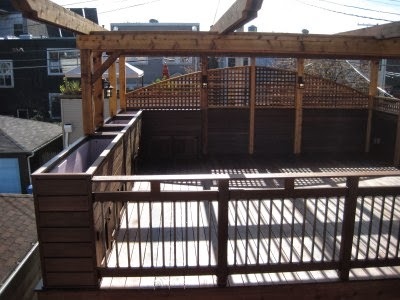 Maakeh is the specific mitzva of building a guardrail around dangerous drops in and around your house. Lo Tasim Damim is a more general mitzva of removing dangers. I've already brought the Netziv in full, but here are some relevant passages to understanding his shita. Red lines pertain to Maakeh, while blue pertain to Lo Tasim Damim. 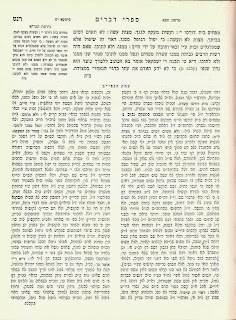 And finally, it's worth checking out Reuven Taragin's shiur on Lo Tasim Damim, which turned me on to these two mekorot. 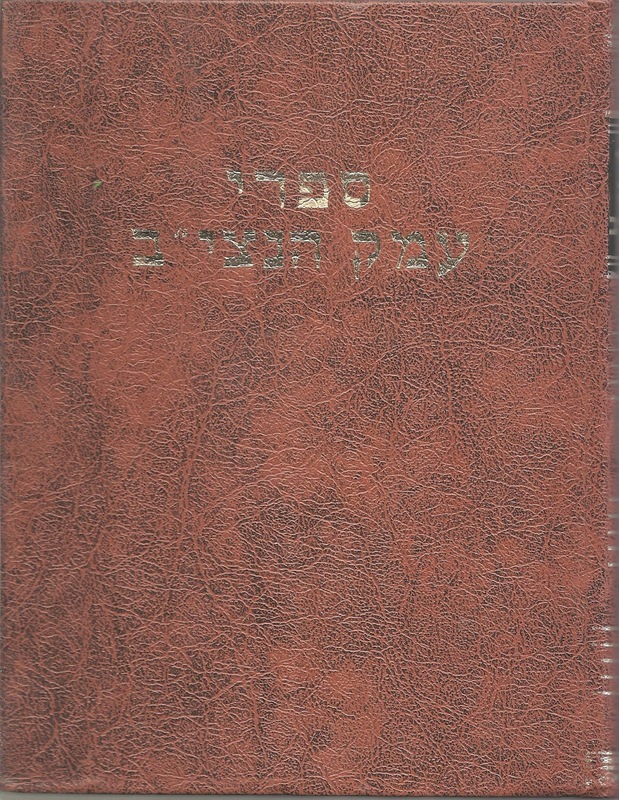 So the last few day's I've been trying to locate the Netziv's perush on the Sifrei, the Emek Hanetziv. It hasn't been easy. Google Search turned-up next-to nothing. Online bookstores don't have it. Most people I asked never heard of it. The two rabbis who I spoke who did know the book were divided as to whether it's just a standard perush included with the Sifrei or whether it's it's own book. Well, a couple people told me to check out the library in the Central Ashkenazi Shul in Akko. I went to shacharit there(weekday davening is actually held in the library) and spent half the time peeking surreptitiously at the not-terribly-organized shelves. Then, suddenly I saw it. 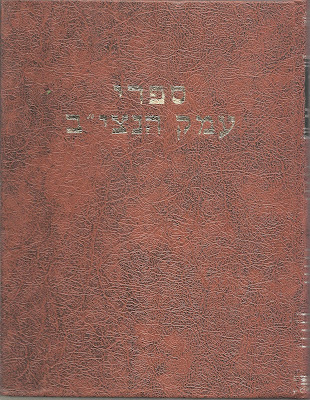 Three volumes of moderate width "Sifrei Emek Hanetziv". It's a pity there's so little online about the book. 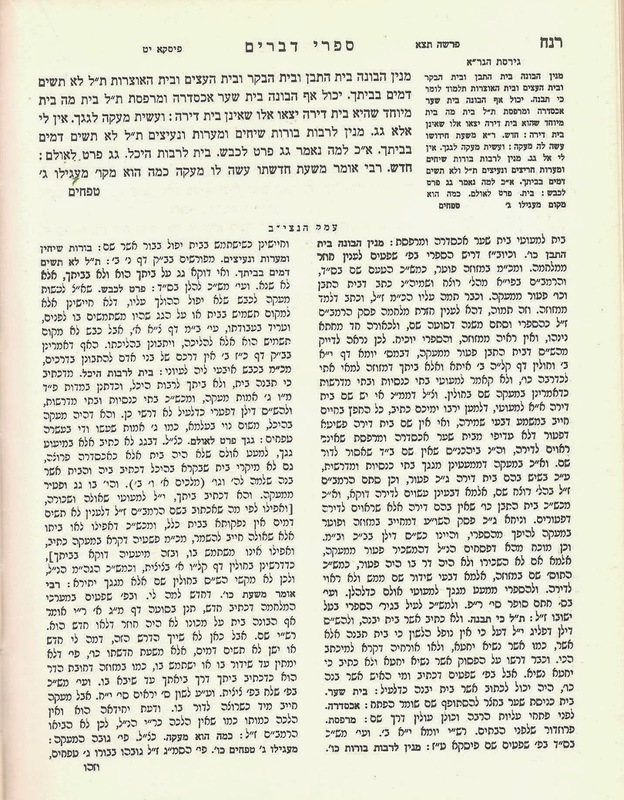 These days, you can get all the basic Jewish texts online, at least as a scanned PDF, but there are still a lot of books with little or no mention online. I would love to scan the entire book and put it up, but I don't have the time or the equipment, so here at least are the pages I scanned for my own personal use, about Maakeh. So let's take a step back and take a look at the topic of התפסה in general: the concept appears in both נדרים and שבועות. The idea is that a neder, and perhaps a shvua, can be created by copying another חלות. So my question is: What's the difference? 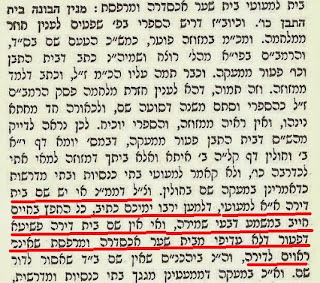 The Rambam mentions התפסה in הלכות שבועות:ב, saying that it doesn't work for shvuot. He ends cryptically, however, saying that there is still some sort of issur. ז [ח] שמע חברו נשבע, ואמר ואני כמותך--הואיל ולא הוציא שבועה מפיו ולא השביעו חברו, הרי זה פטור; וזהו מתפיס בשבועה, שהוא פטור. [ט] וכן אם נשבע שלא אוכל בשר זה, וחזר ואמר והרי הפת הזו כבשר הזה--הרי זה פטור על הפת, שהרי לא הוציא שבועה עליה אלא התפיסה; ואף על פי שהוא פטור מן המלקות או מן הקרבן, אסור לו לאכול אותה הפת שהתפיסה בשבועה. 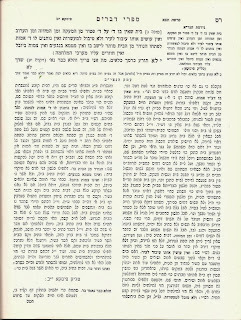 It's worth noting that the Rambam is going according to Rava, while other rishonim follow Abaye and say that one can copy a shvua. 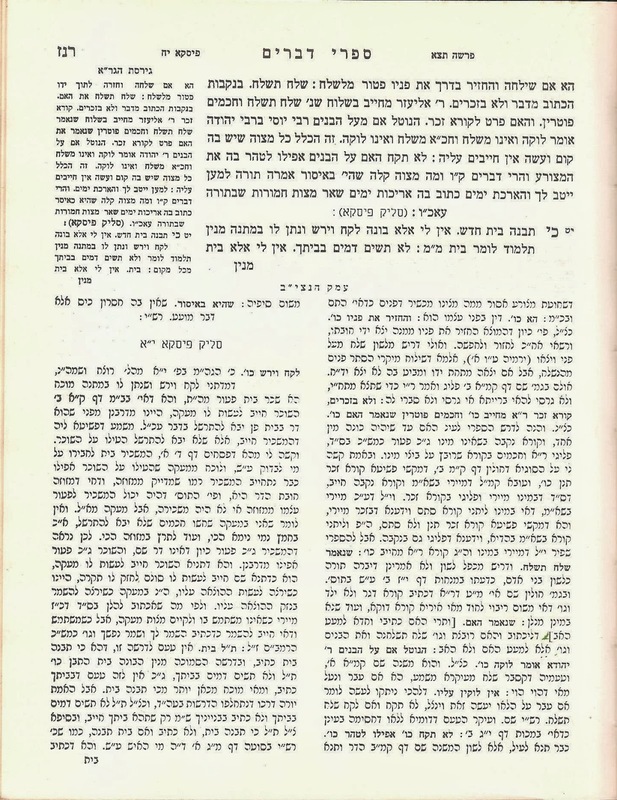 The Rambam mentions lots of examples of hatfasa in nedarim, some of them implicitly. Here are a few examples from הלכות נדרים:א. ז האומר פירות אלו עליי קרבן, או שאמר הרי הן כקרבן, או שאמר לחברו כל מה שאוכל עימך עליי קרבן, או כקרבן, או הרי הן עליי קרבן--הרי אלו אסורין עליו: מפני שאפשר שיידור אדם קרבן; ויעשה בהמה שהייתה חול קרבן, ותיאסר. יג האומר הרי הן עליי כמעשר בהמה--הרי אלו אסורין, הואיל וקדושתן בידי אדם. 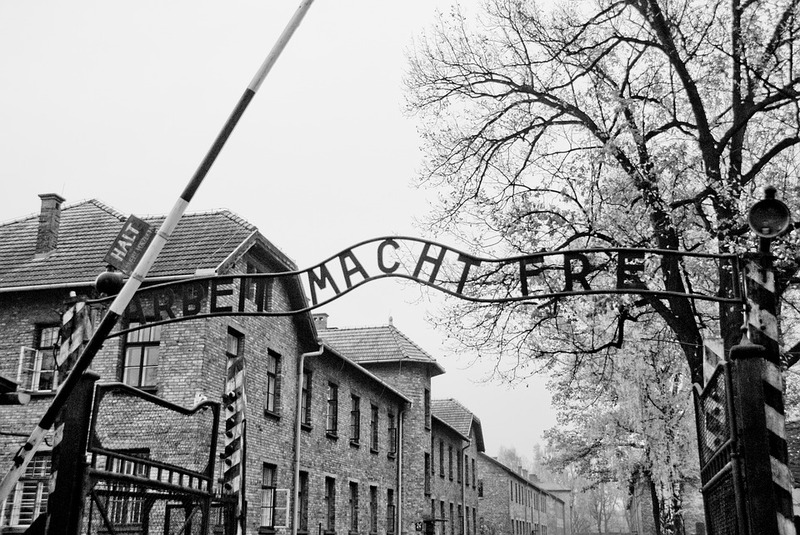 הרי הן עליי כבכור, הרי אלו מותרין--שאין קדושתן בידי אדם, ואינו יכול להתפיסו בנדר: שנאמר בו "לא יקדיש איש, אותו"
טו היה לפניו בשר קודש, אפילו היה בשר שלמים אחר זריקת דמים שהוא מותר לזרים, ואמר הרי הן עליי כבשר זה--הרי אלו אסורין: שלא התפיס אלא בעיקרו, שהיה אסור. אבל אם היה בשר בכור--אם לפני זריקת דמים, הרי זה אסור; ואם לאחר זריקת דמים, הרי זה מותר. Wat is the reasoning behind each side of the Rava/Abaye machloket? 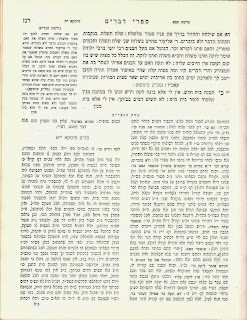 Why, with shvuot, do we only mention copying another shvua, while with nedarim we also see examples of copying other issurim like a korban? 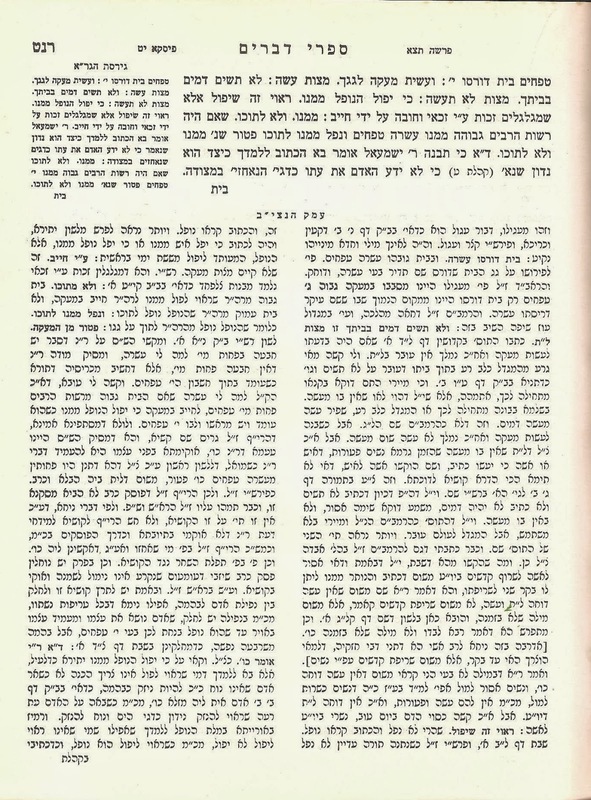 What does the Rambam mean that there is no shvua but it's still asur? 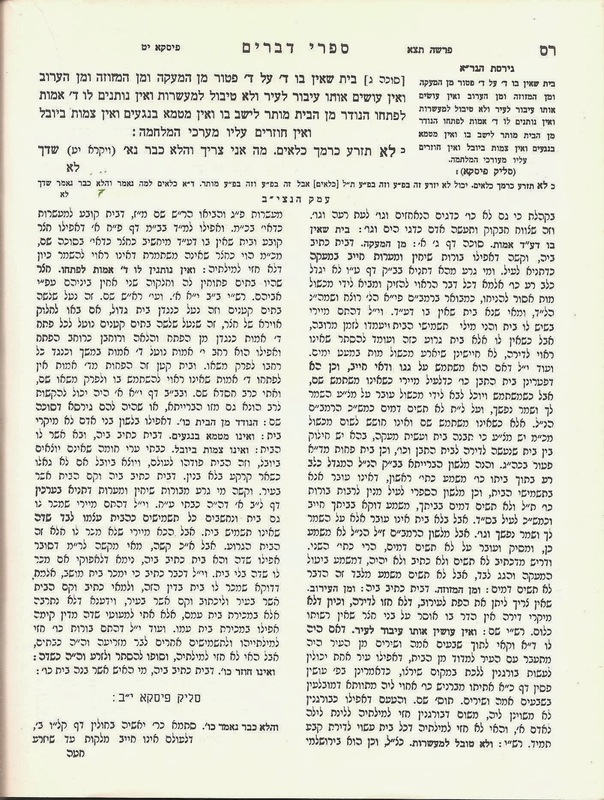 Let's start with the more difficult opinion, that of Rava, that unlike Nedarim, you can't create a Shvua with התפסה. Why is that? It all comes down to how shvuot work, as opposed to nedarim. A shvua get's it's power from the name of God that one swears by. 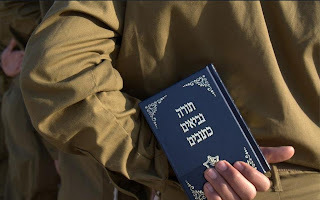 The prohibition against violating one's oath is based on chilul Hashem. Without that ingredient, there is no oath. That's why there is no possibility of basing a shvua on a korban, no name of God has been taken. The whole question arises only when you are trying to copy one shvua to another. 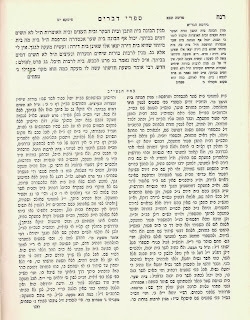 Rava apparently says that the requirement of use Hashem's name is so strong, that it can't be "borrowed" from the original shvua. Each time a shvua is made, God's name must be said. 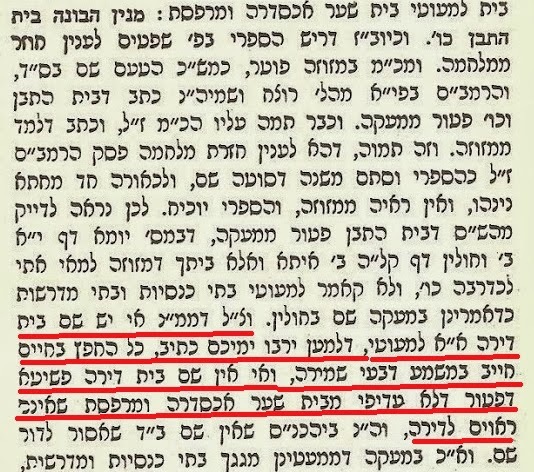 Abayei, on the other hand, apparently reasons that as long as we're copying a valid shvua, so the original shvua's shem Hashem transfers to this one. Nedarim, on the other hand, don't work based on chilul Hashem. They are a special provision that the Torah provides for us to create our own isurim verbally. So there is no essential problem with making a neder via התפסה, it's just another way of verbally expressing the neder. The neder may therefore be copied either from another neder, or from some other halachic construct such as korban. That works for the Rambam, but the Ran(על הרי"ף שבועות ח.) takes it a step further. He says that all Nedarim work by התפסה. He says that a neder is a Torah provision that allows you to copy certain halachot onto other objects. According to the Ran, when a person makes a neder without explicit hatfasa, it actually means "like a korban". ג כיצד המתפיס בנדרים חייב: שמע חברו שנדר, ואמר ואני כמוך, בתוך כדי דיבור--הרי זה אסור במה שנאסר בו חברו; שמע השלישי זה שאמר ואני, ואמר ואני--אפילו היו מאה וכל אחד מהן אומר ואני, בתוך כדי דיבורו של חברו--הרי כולן אסורין. ד וכן האומר הבשר הזה עליי אסור, וחזר ואמר אפילו אחר כמה ימים, והפת הזאת כבשר הזה--הרי הפת נתפסה ונאסרה; חזר ואמר ודבש זה כפת הזאת, ויין זה כדבש זה--אפילו הן מאה, כולן אסורין. So is התפסה really a din in nedarim? It appears to be a more general category. Perhaps the answer is that התפסה applies to things that are similar to a neder to bring a korban. Like tzedaka, a fast day, a commitment to learn a certain Torah text, etc. 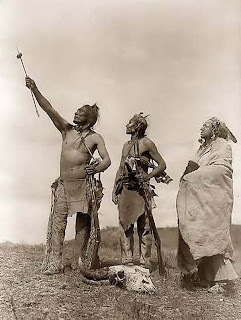 Let's call them, "Personal Offerings". So, having left yeshiva years ago, and finding it increasingly hard to find a chevruta with a compatible schedule, a good proportion of my learning is solo. One of the problems there is that another person keeps you honest, calls you out when you don't have a clear understanding. So I think that keeping a blog could help. As soon as you are publishing your notes(even if nobody is reading them) you feel the need to read over them again, make sure there aren't any mistakes, make sure your stating an idea clearly. So currently, I'm reading שעורים לזכר אבי מורי ז"ל and occasionally attending a gemara shiur, so to start I'll be making posts about those. Language-wise, since this is largely personal notes, I'll be sticking with what's easy for me, so that's English with Hebrew thrown in where appropriate. Since I'm posting as I learn the sugya, I'm sure I'll make mistakes along the way. Hopefully I'll realize eventually and make a new post with a corrected understanding. In any case, I'll try and make a clear distinction between the sources and my understanding of them. And if you read this and find a mistake, please say so in the comments.